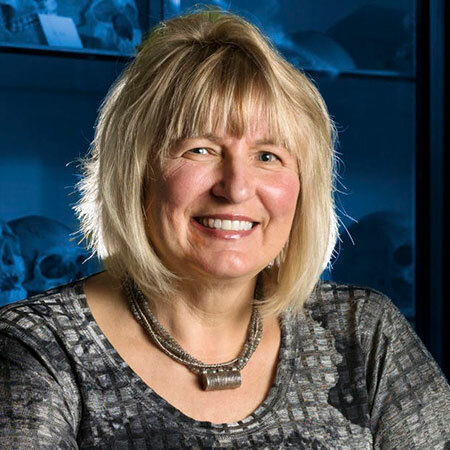 Debra L. Martin is an expert in human osteology and bioarchaeology, which involves the analysis of skeletonized human remains from archaeological as well as historic and contemporary settings. She conducts research in the areas of nonlethal violence and inequality, gender differences and paleopathology, and the bioarchaeology of human experience with a focus on groups living in risky and challenging desert environments. She is on the editorial board of the journal Landscapes of Violence and is also the editor for Bioarchaeology and Social Theory series, Springer. She is co-editor of the International Journal of Osteoarchaeology and an associate editor for the Yearbook of Physical Anthropology. Her recent publications include co-editing Bioarchaeology of Violence (UPF) and Bioarchaeological and Forensic Perspectives on Violence (Cambridge) as well as co-authoring Bioarchaeology of Climate Change and Violence (Springer). Biological anthropology, bioarchaeology, paleopathology, skeletal biology, violence and trauma, diet and health, US Southwest, Mexico, Arabia.